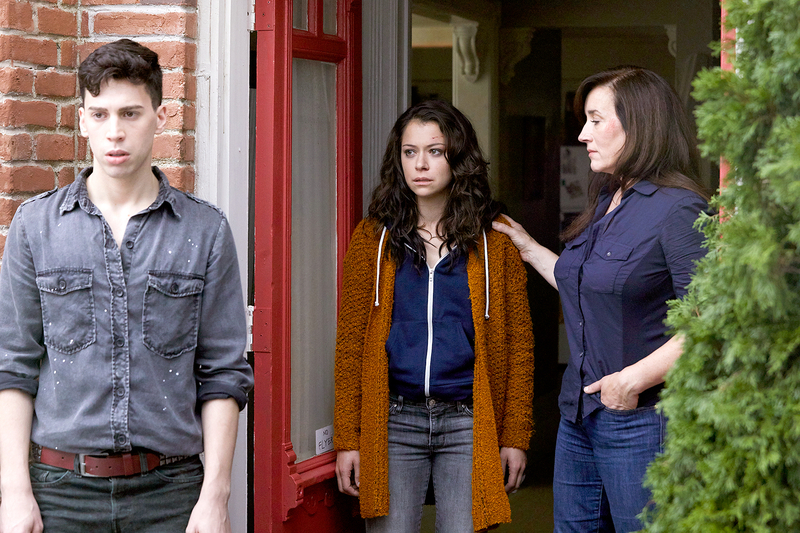 Tatiana Maslany Previews Final 'Orphan Black' Season: Read Her Q&A! 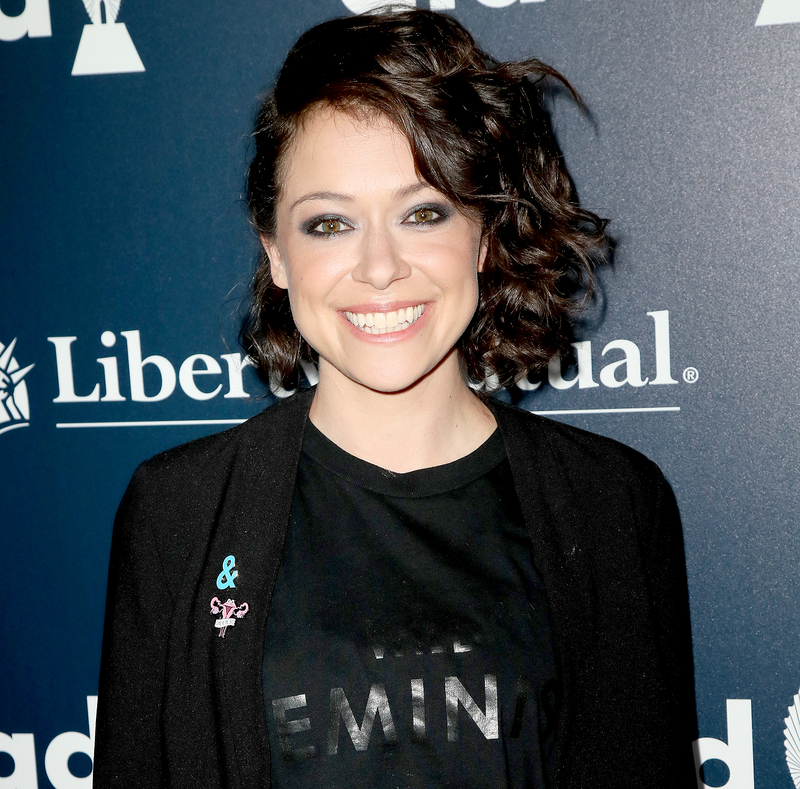 Tatiana Maslany Previews Final ‘Orphan Black’ Season: Read Her Q&A! By the time BBC America’s wildly addicting sci-fi show Orphan Black’s series finale airs later this summer, its bona fide star Tatiana Maslany will have portrayed no fewer than 11 clones, sometimes up to six per episode, and all with such distinctive personalities that it’s easy to forget that there’s one woman inhabiting them all. From the fierce pragmatist Sarah to the to science nerd Cosima to the unhinged but lovable Helena, Maslany, 31, who won an Emmy Award for her role/s in 2016, has given life to memorable characters. It didn’t take long for buzz to build when the series, [which evolves around a core group of clones borne out of Project LEDA. 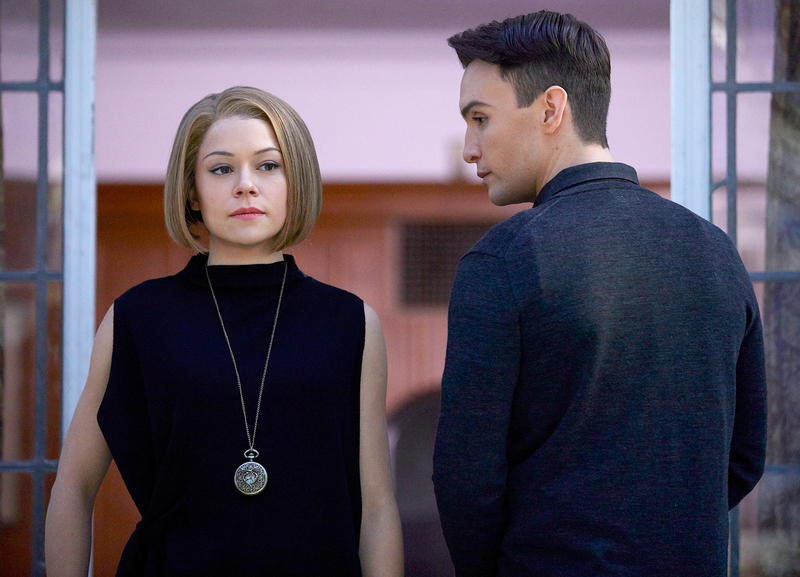 With its solid mix of serious sci-fi geek stuff, mystery, action, humor, and stars — also including Maria Doyle Kennedy and Jordan Gavaris — Orphan Black was destined to become a critical and cult darling. With just 10 episodes remaining, Maslany, the cast, and crew have bid farewell to Sarah, Cosima, Alison, Rachel, Helena, and the rest of the gang. As for whether or not her clones would live happily ever after, Maslany is careful not to give too much away. Us: Do you feel fans will be satisfied with the ending? TM: I think what Orphan Black often does is sort of play in the gray area a lot more than in the absolutes of good and bad. What I’m always interested in are stories that challenge people. And hopefully that’s what this does, whether it emotionally challenges them or mentally, or whatever, but I’m happy with how we say goodbye to the clones. Us: What can viewers expect from season 5? TM: It’s an extension of what we’ve been exploring all throughout, which is the sisterhood, and family, and all of those things. We definitely delve more into that, especially as this season goes on, in a deeper way than I think we have in the past. It’s hard to say one way or another what the season’s about, but for me, it always comes back to family. Us: Speaking of family, Orphan Black continually explores what it means to be a woman, a mother, a sister… What do you think the series says about the nature of motherhood? TM: I think it challenges a lot of the traditional expectations of what a mother is. And I think Sarah’s always done that in that even though she’s the biological mother of Kira she couldn’t have raised her without Mrs. S. and I think she really relied on Mrs. S. to kind of mother her daughter. Sarah’s not really necessarily built to be a natural mom. It’s not really her, so to have her dealing with that and the guilt of, ‘Am I a good mother?’ and all of that stuff that I think people go through, that’s what’s interesting to me — sort of like the different versions of a mother and breaking apart the rules for what a mom is. Us: What can you say about rumors of a Cosima/Delphine wedding after their emotional reunion in the season 4 finale? TM: I will let you deduce what you want to deduce from that. It’s a very cool episode. I can’t really say much about it but I loved shooting that episode. We filmed that one with Helen Shaver, who has directed a few of our episodes and she’s unbelievable. She understands the love story of it but also the complications of that dynamic — Cosima and Delphine and the intimacy and the sexuality and everything. Us: Have you ever been shocked by what Alison and Donnie will do to protect each other and their family? TM: Totally. I love those two so much. Considering they’re the most suburban on the surface, they’ve killed a lot. They’ve murdered as much as Helena. They’re pretty fierce. I love that veneer of perfection, the veneer of societal normality and then you get to know who they really are. Every time I read an Alison scene or an Alison and Donnie scene, I’m excited. And Graeme (Manson, executive producer) has said that those scenes write themselves, that those voices for him are very clear. It’s always been really fun. Us: Do you have a story about a really crazy or touching fan interaction over any of the clones? TM: I feel like Cosima is the one that most often elicits a response like, ‘Thank you for that character because I was able to be myself and I actually talked to my parents about who I am and don’t feel ashamed anymore.’ There have been a few of those conversations with people and it’s amazing from teens to 40-year-old women I’ve spoken to who’ve said the show has had that effect on them. It’s incredible. Us: Are you aware of tattoos in honor of any of the clones you play? TM: Yeah! Or, a fan will ask me to sign something to write a word on a piece of paper because they’re going to get my penmanship on their body. Us: Can you pick a clone, or is it like trying to pick a favorite child? TM: It is kind of. It changes day by day and I think that’s what’s so exciting about the show for me. I’m lucky enough to get to play six characters. Even if I got to play one of them I’d be excited — Helena or Alison or Cosima or Rachel. Rachel this last season was really exciting and so was Helena. It’s hard for me to pick. Us: Did you take anything home from set when you were finished shooting? TM: I took a bunch of clothes and a bunch of things from each character, so I’ve got Cosima’s glasses and her nose ring. I have a few different things from each character. I have Helena’s coat from when she first appears and Sarah stabs her, way back from season one. Us: What would you like viewers to take away from the season or the entire series? TM: I’m just really grateful that we got to do it and so grateful to the fans for being there from day one and for giving us viewership and visibility and all of that. It’s been such an amazing trip and we wouldn’t be here without the Clone Club, so it’s very much about them. Orphan Black’s final fifth season debuts on BBC America on Saturday, June 10, at 10 p.m. ET.